We've been eyeing the Atmos Fit smartband for quite sometime now. For PHP850.00 the Atmos Fit watch is already a digital clock and fitness tracker in one. It can be synced and compatible on both Android and iOS phones via bluetooth. The Atmos Fit comes two colors: black, navy blue. The difference is just the armband, the watch itself is all black. We tried and tested the Atmos Fit using an iPhone 5s and Vivo Y55 and the smartband synced in seconds, provided that the Zeroner Health app is(can be downloaded for free) already installed. To save your time, download the app first, as there's nothing much you can do with it w/o syncing it to the Zeroner app first. The Atmos fit's time will sync on your phones' time clock. There's no option to manually set it, same goes with the current date. Led light stays on for just around 3 seconds, and you have to tap the led again to lit it up. This could be the reason why it lasts for 6 days w/o charging(per packaging box). So far we didn't see any option to prolong the display time nor to adjust the LED's brightness. The smartband can also be used to find your phone as it triggers a sound to your phone, like a stress signal. Havent tried, yet, if till still siren even if the phone is on mute or silent mode. Unfortunately if the volume is set to low or mute, you will not hear the stress siren. But this is definitely a useful feature if you tend to lose your phone indoors, just make sure that it's loud enough for you to trace where the phone is. Just a heads up, if you're thinking that this works just like Samsung Gear or Apple Watch, you're wrong. It can't play music, or open an app or even answer calls. However, you'll get notifications from SMS, facebook messages and even emails. Not much can be controlled through the Zeroner app, in terms of adjusting the display, brightness and the likes. 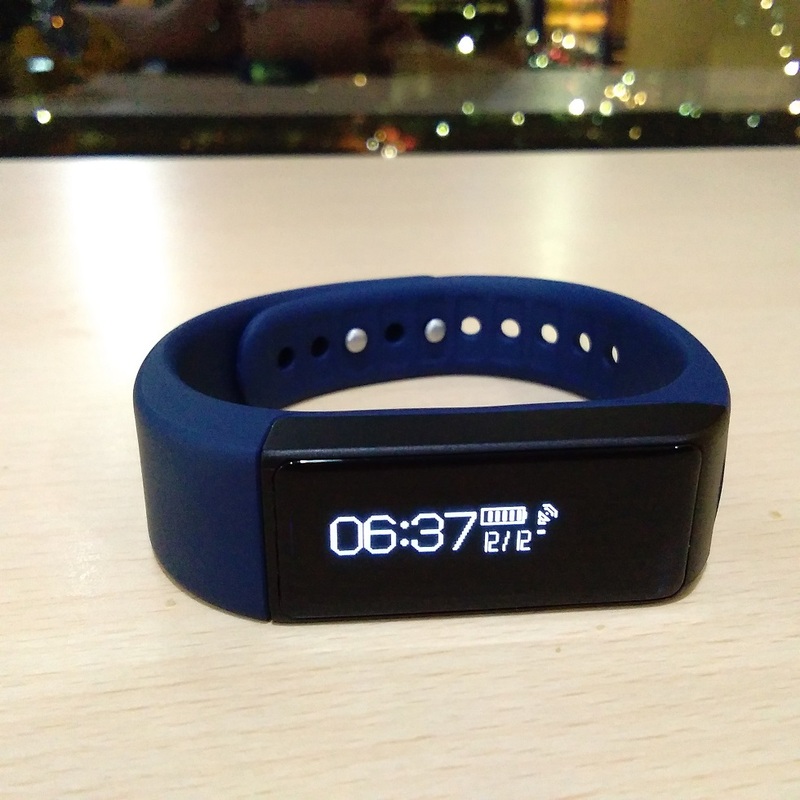 If you're just start looking for a fitness tracker/ watch without shelling out much money then this is the right smartband for you. It's easy to maintain, low priced and can withstand daily wear and tear. The tiring part is configuring the Zeroner app, it resets to default no matter how many time you set it up. This is kinda a bummer if you're already serious into checking your improvement in getting fit. So far, it's the cheapest fitness smartband out there in the market and perfect gift for you and your loved ones. 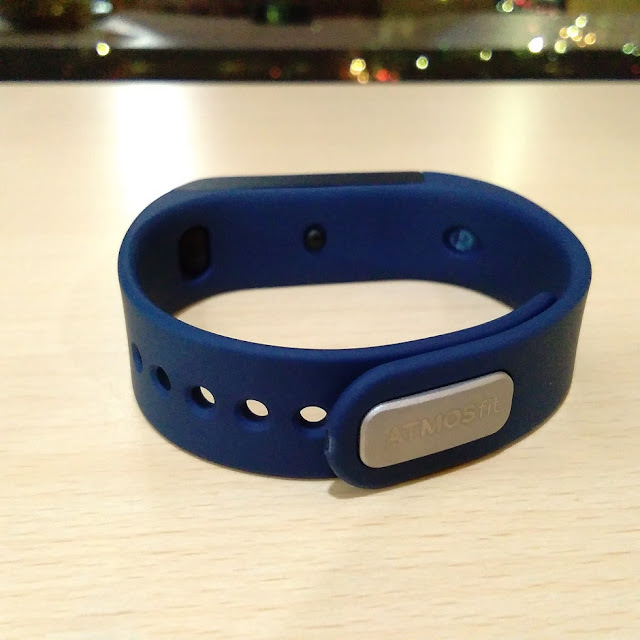 Got our Atmos fitness smartband from Kimstore, and it's definitely bang for the buck. But the lack of proprietary app support can only its downside. Disclaimer: This is not a sponsored post. We just felt we need to share this as you might be thinking buying your own Atmos Fit, or as a gift. What do you think about the Atmos Fit smartband? Will this be your next watch?